The prevention of mould can be assisted by using an air purifier. Did you know indoor air is nearly 5 times worse for the human body than outdoor air? Winter is coming, which means we’ll be spending more time indoors. You might think that air is cleaner indoors, after all, there’s no pollutants from cars or germs from anonymous sneezers on the morning commute. In fact, indoor air is several times more polluted than outdoor air, putting you at greater risk of illness during the winter months. Allergens in the air can cause respiratory distress too, making winter an uncomfortable time. 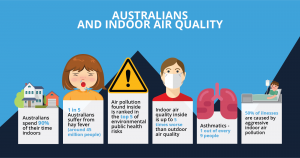 Air purifiers Australia, like the IONMAX ION390 combine five forms of air purification techniques to gently remove pollutants from your indoor air. The intelligent technology can detect the level of dust in the home and adjust the fan speed accordingly, while the HEPA filter forces the air through a very fine mesh filter, removing harmful particles like pet dander, smoke and pollen. With a coverage area of 60sq metres, your office or living zone can be completely protected from inflammatory allergens and harmful particles lurking in your air. The ION390 also emits negative ions, which help to clean and revitalise indoor air. Contact The Mould Doctor to purchase your IONMAX ION390 and enjoy clean and pure air in your home and workplace. 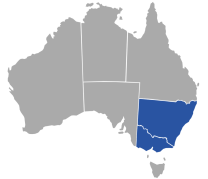 The Mould Doctor offers more than mould remediation alone – we inspect, correct and protect your property from future outbreaks of mould, too. The best way to protect your home from mould, aside from rectifying structural faults, is to eliminate sources of dampness and moisture within your property. 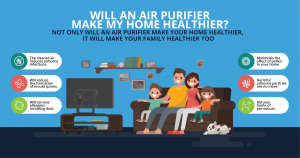 A good quality air purifier is essential to a healthy home, particularly if you’ve suffered a mould outbreak in the past. Even seemingly clean air can be packed with pollutants that are harmful to the health of your family and pets. In fact, indoor air pollution is one of the top five environmental risks to public health, and as much as 50% of illnesses are worsened by poor indoor air quality. What might be lingering in my air? Airborne particles: dust, pollen, debris. Bacteria and viruses: mould, fungus, yeast. Volatile organic compounds: cleaning supplies, paint, glue. Ridding the air in your home of these harmful contaminants makes for a much healthier, cleaner living space.